A while back, I wrote a post on trapping and mentioned that I would show you how I make my snares. Now first I want to mention that before you use snares check the Fish and Game regulations in your area. In many places they are illegal to use without special permits. Today I am making a snare out of 3/32 cable. This is a good snare for coyote sized game. To make it, I need about six feet of cable, a washer, one ferrule and a cable stop. For tools, you will need a drill and bit, a hammer and good pair of wire cutters. Start by cutting your cable into an approximately six-foot length. You will then loop the cable back through a ferrule to make a small loop about 2-3 inches in size. 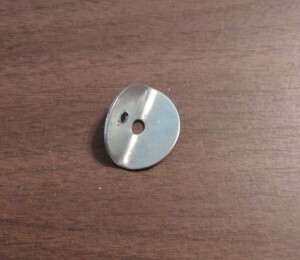 Next, take your washer and drill a second hole in it just big enough for the cable to slide freely through. Then bend the washer in half to about a 70-degree angle, with the second hole at about 90 degrees to the bend. The cable ran though the ferrule to make the small loop. Now take the washer and slide the cable through the hole that you drilled. Loop the cable back and run it through the hole in middle of the washer. Now put the cable end on to prevent the cable from pulling loose. This should complete your snare. 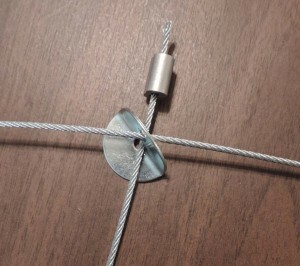 To use the snare loop the cable around a small tree or post and run the working end through the small loop. This will secure the cable now go ahead and set the working end up in your game trail. When the working loop tightens, it not will release and allow your game to get free. This is a reliable snare that will work well, but like anything else, it has a learning curve. This entry was posted in hunting, Uncategorized and tagged snare. Bookmark the permalink. 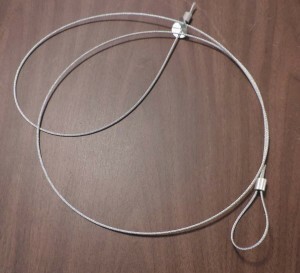 Howard, for those that don’t want to take the time to make their snares, they can be purchased from Amazon…. A dozen for under $20, depending on the size. Yeah Amazon will be such a great resource when the SHTF. Omega, The whole idea is to be PREpared. Note that PRE means BEFORE. So, you could spend your $20 NOW, BEFORE SHTF, to get the snares from Amazon. Then you will have them AHEAD of time, you will be PREPARED. Or, you can take the time you have now and make snarky comments to people that are trying to help. People like Wyoming Steve. Awesome reply. This is supposed to be a learning site. I have learned a lot from this thanks Wyoming Steve. It’ll be ok omega…don’t listen to al…just wait until the shtf and then order your supplies…no point in having a bunch of stuff hanging around your home…besides, if it does hit, the government will make sure we have everything we need/want…right? Good, straightforward instructions and great pictures. Way better than Bruce Hemming’s book on trapping with its lousy, tiny pictures. 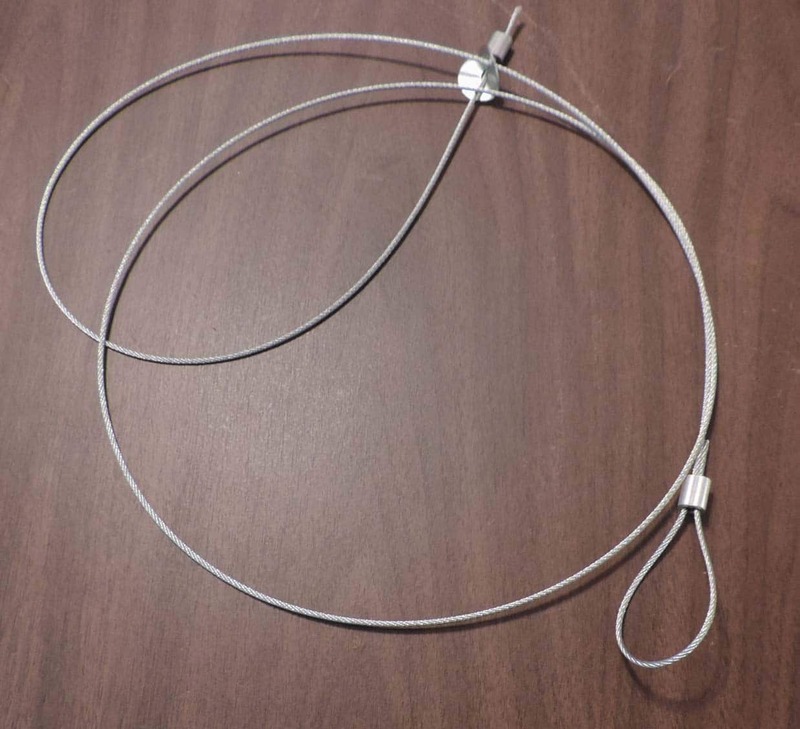 In Arctic Survival School we were taught how to make rabbit snares from .032 stainless steel aircraft safety wire. Face it in a SHTF scenario you won’t be trapping coyotes but food. For those of you not close to an airport with mechanics you can buy one pound rolls from Aircraft Tool Supply Company. I would also get a pair of safety wire pliers. It makes twisting the wire easier. The thing about snares is they hunt while you do other work or sleep. Remember where you put them if you move and take all of them with you. I learned how to make snares as a child, using sissal rope that we made ourselves..